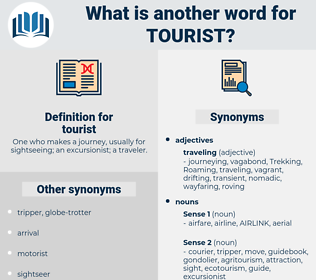 What is another word for tourist? One who makes a journey, usually for sightseeing; an excursionist; a traveler. tourism, touristic, Holidays, tour, visitor, visitors, travel. 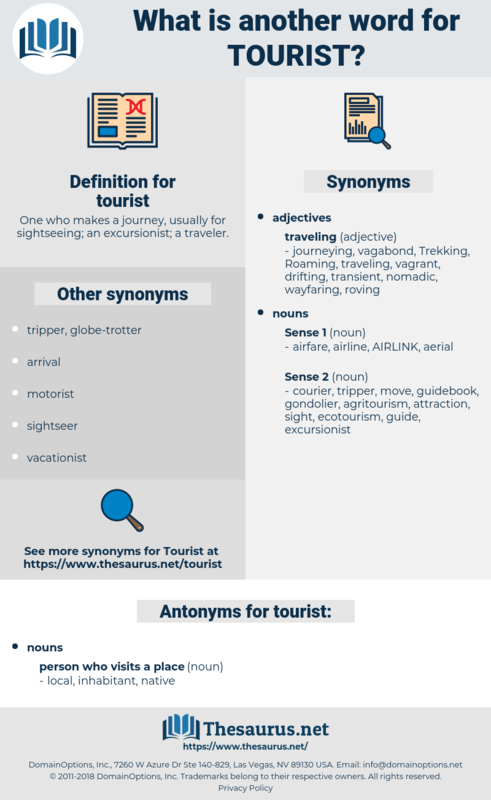 tourism, touristic, tour, visitor, travel, vacation, holiday.
" Oh," she said; " you are a tourist - you are fishing?" I told you that I met him on the tourist boat.